Clash of Worlds – This is a BBC Documentary focusing on the relationship between Britain and Palestine, the resulting foundation of the state of Israel, and the effects felt to this day. Although this video begins with the so-called betrayal of the Arabs by the British, the BBC is fair enough to list the historical battles between Christians and Muslims. Beginning in the Crusades the battles continued up to the Mahdi War in Sudan and the Muslim revolutionaries in India. Could Britain trust the Muslims? According to this series, many British statesmen certainly did not trust the Muslims. In this post, and all the posts for the “Clash of Worlds” series, we have added background information to help you understand the terms in each Part of the series. Enjoy! 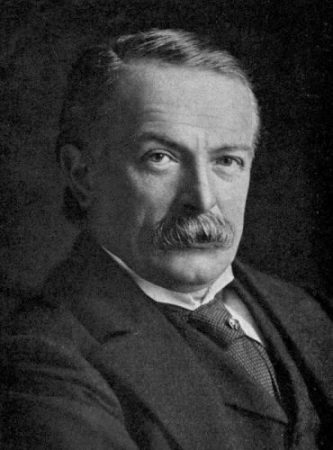 David Lloyd George, seen as an opponent of war, was as surprised as almost everyone else by the outbreak of the First World War. A month after the assassination of Archduke Franz Ferdinand of Austria he made a speech saying that Britain’s relations with Germany were better than for many years. Lloyd became Prime Minister 1916–1922. Lloyd George wanted to make the destruction of Ottoman Empire a major British war aim, and two days after taking office told General Robertson that he wanted a major victory, preferably the capture of Jerusalem, to impress British public opinion. His objective was “Jerusalem before Christmas”. At the end of the Great War, he called for the liberation of the subject peoples of Austria-Hungary and the Ottoman Empire. 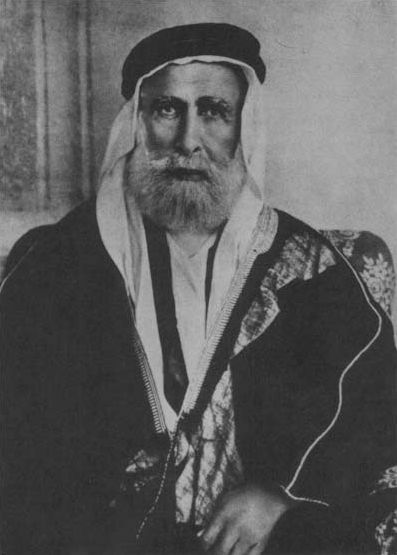 Hussein ibn Ali al-Hashimi – الحسين بن علي الهاشمي‎, (1853/1854 – 4 June 1931) was the Hashemite Arab leader who was the Sharif and Emir of Mecca from 1908–1916. Hussein declared himself ‘King of the Arab Countries’. Hussein’s pan-Arab aspirations were not accepted by the Allies. After proclaiming the Arab Revolt against the Ottoman Empire, he became the King of the Hejaz from 1916 to 1924. In 1925, the forces of Abdulaziz ibn Abdul Rahman Al Saud (Ibn Saud) captured the holy city of Mecca from Sharif Hussein, ending 700 years of Hashemite rule. After World War I Hussein refused to ratify the Treaty of Versailles, in protest at the Balfour Declaration and the establishment of British and French mandates in Syria, Iraq, and Palestine. Hussein’s sons Faisal and Abdullah were made rulers of Iraq and Transjordan respectively in 1921. T.E. Lawrence was a British archaeologist, army officer, diplomat, and writer. 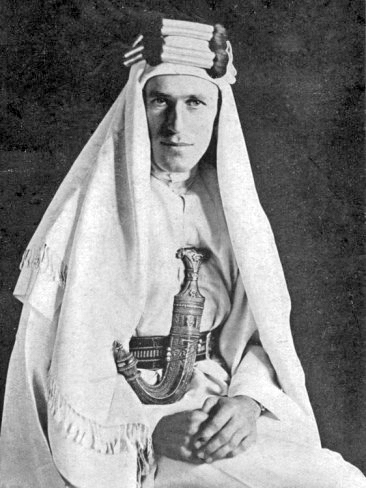 During the closing years of WWI Lawrence sought to convince his superiors in the British government that Arab independence was in their interests – with mixed success. 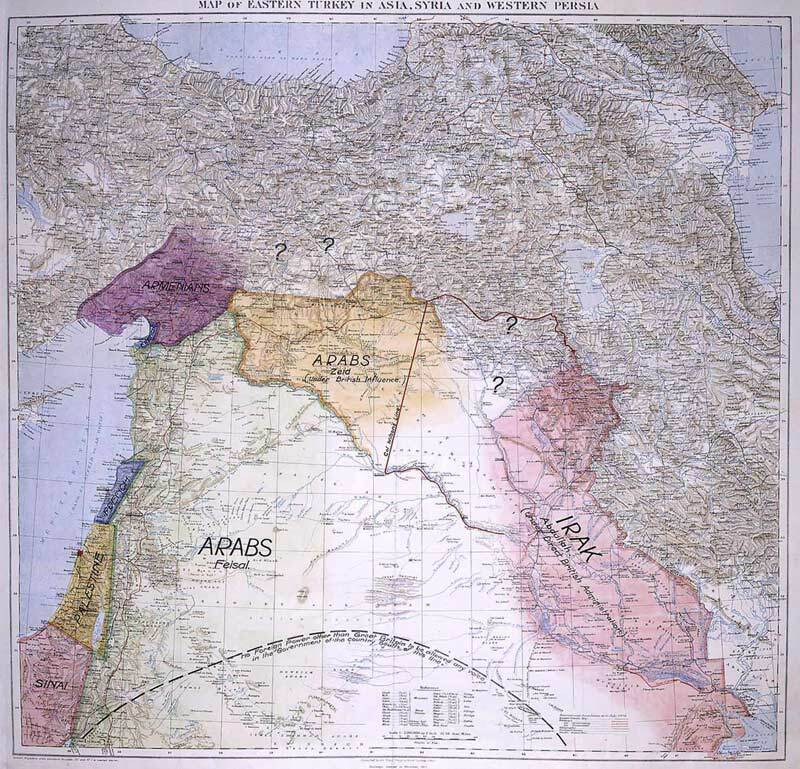 The secret Sykes-Picot Agreement between France and Britain contradicted the promises of independence that he had made to the Arabs and frustrated his work. 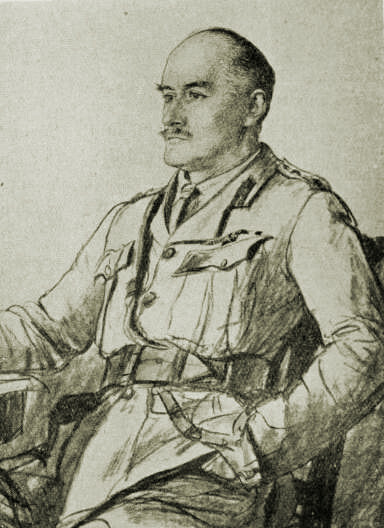 Field Marshal Edmund Henry Hynman Allenby, in the First World War, led the British Empire’s Egyptian Expeditionary Force (EEF) during the Sinai and Palestine Campaign against the Ottoman Empire in the conquest of Palestine. 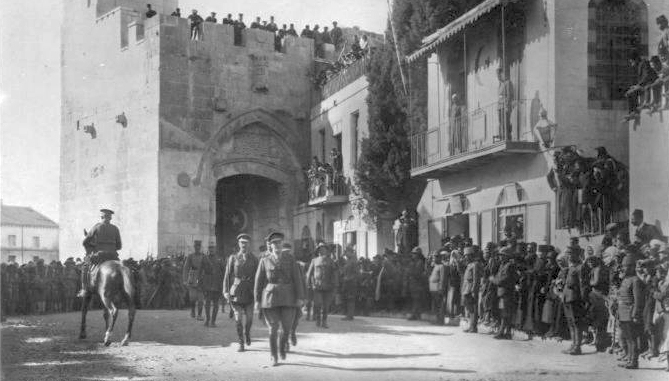 Allenby dismounted and entered the city on foot through the Jaffa Gate, together with his officers, in deliberate contrast to the perceived arrogance of the Kaiser’s entry into Jerusalem on horseback in 1898 which was not well received by the local citizens. Allenby sent his Indian Muslim soldiers to guard Islamic religious sites, feeling that this was the best way of reaching out to the Muslim population of Jerusalem. Ottoman Sultan Abdul Hamid II established a resident governor (mutasarif) of Ma’an Province in Al-Karak. One of the first governors, 1895, Hussein Helmy Bey Effendi, ruled with a garrison of 1,200 troops, in 3 regiments, mostly conscripts from West of the River Jordan and 200 Circassian cavalry. He disarmed the local population and also established a Military Hospital with a Jewish doctor. Following the San Remo conference, 1920, Great Britain was given a mandate to govern Karak. The newly appointed High Commissioner in Jerusalem, Herbert Samuel, sent several officials east of the River Jordan to create a local administration. 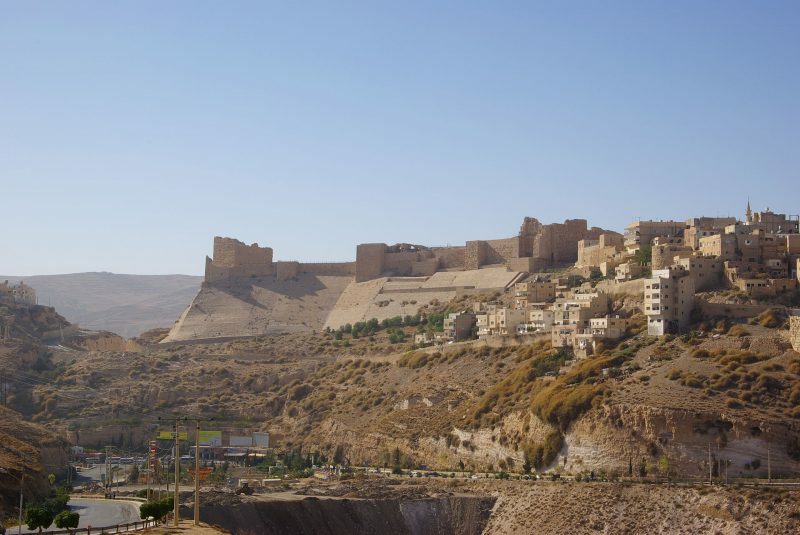 In January 1921 Emir Abdullah Hussein arrived in Karak. At the Cairo conference, March 1921, Abdullah was recognised by the British as ruler of Emirate of Transjordan. Arab and Jewish Nationalism were shaped by World War I. 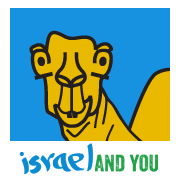 In order to achieve their goals of statehood, both Arab and Jewish people looked to the British for support. However, controversy was not far away, as these alliances would come to overlap when the British pledged land to both groups, creating a conflict for years to come.